Sky Now TV is an internet streaming service. It is a simple set top box, not disimilar to a freeview box, which you plug in to your TV set. The service is available for anbody who has a TV (and not necesserily a Sky subscription), and it is intended to compete head on with BT’s free internet streaming service, which they are publicising with the premier league football. What will Sky Now TV cost me? Sky are targeting the lower end of the TV market, which have traditonally been out of reach for their premium subscription TV service. The Sky Now box will cost just £10, but the Sky Now service comes at an additonal premium. Sky Now will cost £9.99 PCM (reduced down to £8.99 on a current Sky promo) which gets you access to Sky Movies. If you want Sky Sports, thats a chunky £9.99 one-off payment for 24-hours access. 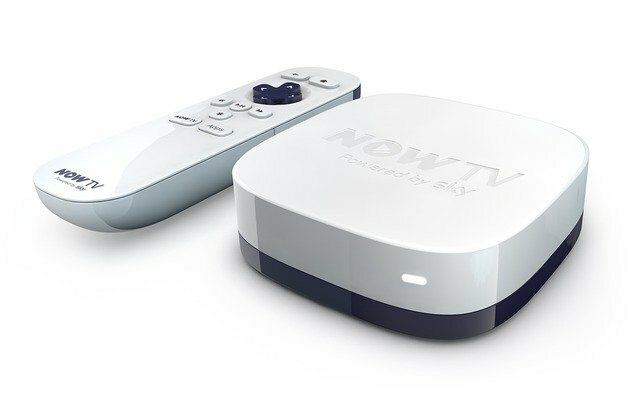 A number of smart TV’s will carry a Now TV app, with Sky recently annoucing that the LG Smart TV range will come with the app pre-loaded. Therefore, if you’re lucky enough to have a Smart TV, you’re unlikely to need to invest in the box itself, although the monthly fees will remain. What do I get to watch with Sky Now TV? The £9.99 TV Box is all about giving consumers a different way to access Sky’s premium TV channels, most notably their Sky Sports and Sky Movies services. Alogside Now TV, the Sky gadget will also let you watch popular catch-up services on your TV, including the likes of BBC iPlayer, Demand 5, the BBC News App and Sky News. For those who are inclined to access social media on every device in their house, you can also access Facebook and Twitter, with more apps to be added over the coming months. BT have stormed into the market and have effectively pulled the rug out from under Sky’s feet. Literally, one minute Sky had a near-monopoly on Sports coverage, and this was the stick with which they weilded to get 10M UK households to pay an average £70 a month for their subscription TV. BT, having one the rights to 38 live 2013-14 premier league games have changed that. By annoucing that they are to make the football available free over a live streaming service for their broadband customers, they have overnight changed consumer perceptions. The purpose of this box is therefore to reposition Sky as an affordable solution for people who just want the internet streaming. It’s also a keen move in the face of the increasing threat from illegal streaming. The premier league have announced a big crackdown on this, but company’s like Sky can no longer ignore the impact of live streaming. Byproviding their own leagal and affordable streaming option, Sky are finding a way to ensure that they keep eyeballs on their coverage, which is critical for the advertising arm of their business. What devices can I use Sky Now TV with? Sky Now is aimed to finally bring Sky to all connected devices. Therefore, Sky Now will work with the full array of PC, Mac, iPhone, iPad, Android devices, Xbox, PS3, YouView and Roku. Previous articleDoes this mean that the iPhone will soon be finished? Next articleWhy do people unfriend me on Facebook?